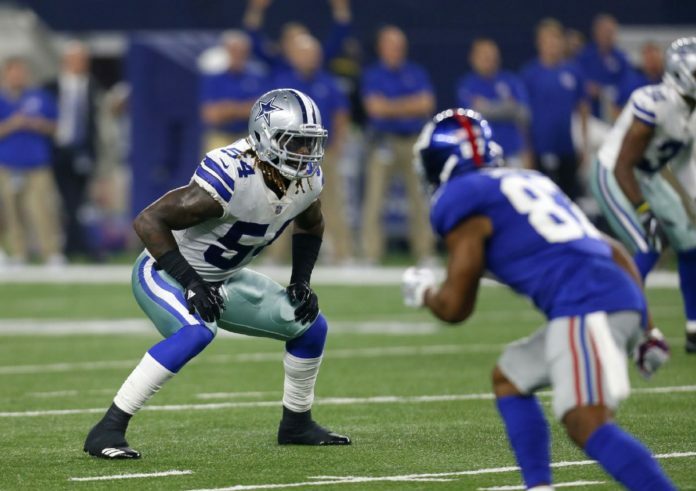 Playing the first regular-season game of his rookie year, linebacker Jaylon Smith was a surprise success against the New York Giants. After suffering a knee injury in early January 2016, Smith dedicated himself to rehab in hopes of a quick recovery. Cowboys owner Jerry Jones said Smith’s attitude toward healing was so optimistic it reminded him of Michael Irvin, the Cowboys Hall of Famer from the 90s. The plan for Sunday’s game was to rotate between Smith and linebacker Justin Durant. But the game played out in Smith’s favor, so he got more opportunities and ended up forcing a fumble. After the game, Smith expressed gratitude for the support from his teammates and the motivation they give him.